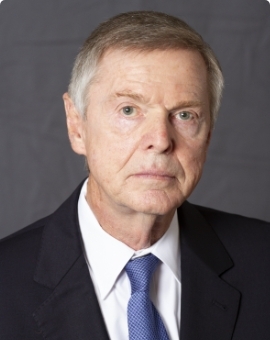 Appointed to the Board in 2010, Dennis Storemski is retired from the City of Houston where he most recently served as the Director of the Office of Public Safety and Homeland Security. His responsibilities included coordinating the City’s homeland security activities, emergency management, the Houston Emergency Communication Center, the Mayor’s Anti-Gang Unit, and other public safety related activities. He served in a number of regional homeland security and emergency management leadership roles, including the Houston Urban Area Security Initiative (UASI), Regional Catastrophic Planning Initiative, Houston Area Maritime Security Council, the Houston Galveston Area Council Homeland Security Committee, and the Unified Area Coordination Committee. Prior to accepting his most recent position, he served 38 years with the Houston Police Department (HPD) and worked his way up the ranks to the position of Executive Assistant Chief. His assignments within the police department included patrol, investigations, tactical operations and support. As a member of the HPD Command Staff, he was instrumental in the development of a number of new programs including the Special Response Group, the Command Center, Mounted Patrol Detail and the expansion of the SWAT and Hostage Negotiation Teams. He also developed the Emergency Mobilization Plan, instituted training on Weapons of Mass Destruction and involved the department in the Joint Terrorism Task Force. Since 1985, he has served on the International Association of Chiefs of Police Committee on Terrorism. He coordinated security operations for every major event in Houston between 1982 and 2005, including such notable events as the Republic National Convention, the 1990 Economic Summit of Industrial Nations (G-8), the World Energy Congress, 2004 MLB All Star Game, and Super Bowl XXXVIII. Mr. Storemski served as the security consultant for the City of Houston’s 2012 Summer Olympic bid. He has a Bachelor of Science Degree from the University of Houston, and is a graduate of the FBI National Executive Institute. Mr. Storemski currently serves on a number of other boards and committees including the International Association of Chiefs of Police (IACP) Committee on Terrorism, and the Area Maritime Security Committee.